There's a lot more to home-baked cookies than just plain, ordinary rolled cookies everyone takes for granted! Cookies shouldn't merely taste good, they should also look attractive. After all, don't we see the cookies before we eat them? With these moulds, you can make extraordinary cookies which not only taste good but are also a delight to behold and gladdens the heart! Have fun with these cookie moulds and bake yourself a cookie garden. 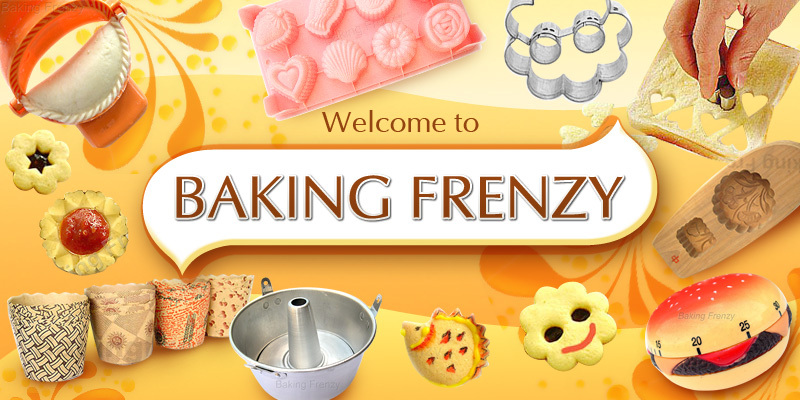 Cookie mould is made from NYLON so this cookie mold will NOT absorb oil or discolor. Scrub them after use in a dish pan of hot, soapy water, or put them in a dish washer. They'll come out looking brand new again! Cookie mould has high gloss, non stick, non porous finish imprint. A glossy instead of matt finish enhances non-stick property of this product; plus it's very easy to clean compared to wooden and ceramic type cookie moulds.